It’s that time of year! 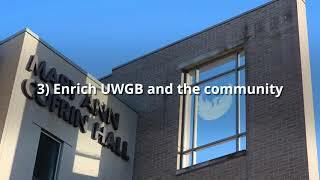 Everyone is down with the flu, but there’s something else spreading at the incubator called UWGB. Many May graduates are now in the peak of Senioritis. Every passing class is one step closer to walking across the stage into your future. As a senior it’s sometimes hard to focus on the present, because we are worried about what’s just around the corner, so here are a few tips to combat this contagious disease. These tips are also helpful for underclassmen; you’ll be affected soon enough and need to be prepared. Never dress less than your best! Put the sweatpants and baggy sweatshirts away. When you look good, you feel good and are more motivated to get your work done. Never used a planner before? It’s time to get one. When everything is in one place it’s easier to keep track of your assignments, meetings, etc. Stop Facebook ‘creepin’ and get some serious ‘sleepin’! Set that phone down and get some shut eye. College students should be getting an average of eight hours of sleep every night. Staying up on social media isn’t helping. Hungry for a snack? Grab a piece of fruit instead of that bag of chips. What you eat not only impacts your physical health, but your mental health as well! Strive to reach your goals. This is this end. Find that college bucket list from freshman year and review it! It’s your last shot: go have FUN. No more mental vacations; just weeks to Graduate! If you’ve caught it or currently in the process of contracting Senioritis, these tips will keep you on track. With these tips, you can dodge it, and successfully receive your diploma! Previous Post - Previous post: Easy Money?